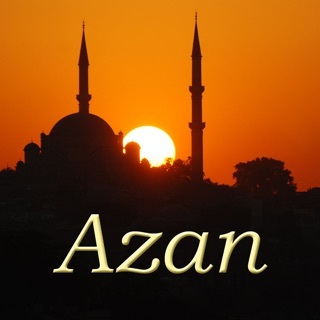 Supports Arabic & English languages based on the device settings. 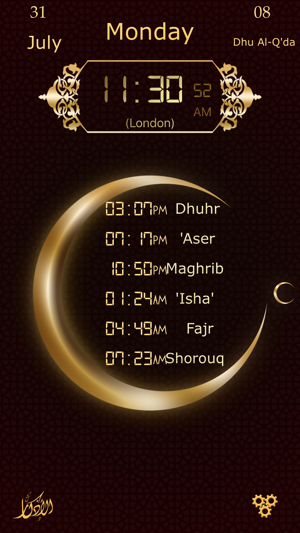 Wonderful home screen; it show the Qibla direction compass, prayer times and the time remaining for the next prayer. 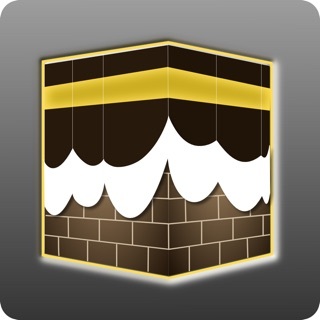 (Qibla direction do not work on iPhone 3g). 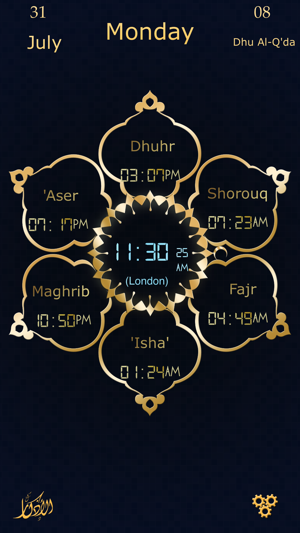 Five ways to calculate the prayer times. 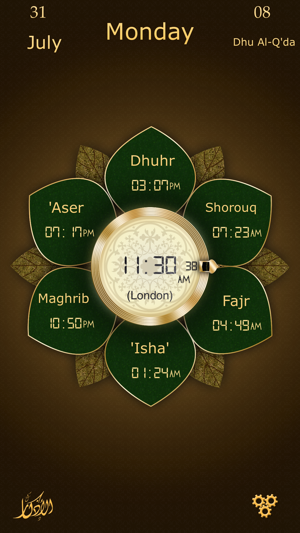 You can adjust the prayer times. HD designs for iPhone/ipod and iPad retina screen. 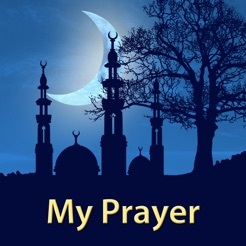 You can manually select any city in any country to calculate the prayer times (if you stop the GPS). 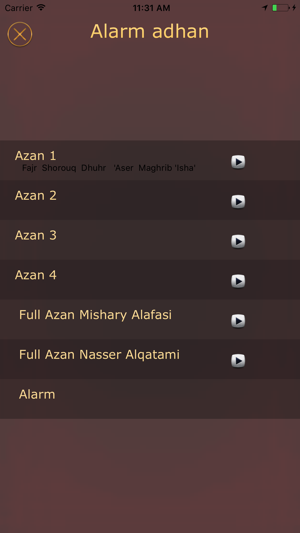 Using local notification at each prayer time, the device will Adhan by Sheikh Mishary Alafasy, Nasir Al-qetami, and more. We regret that we were not able to keep all the features free We need your support in order to continue developing useful applications thank you for your understanding. 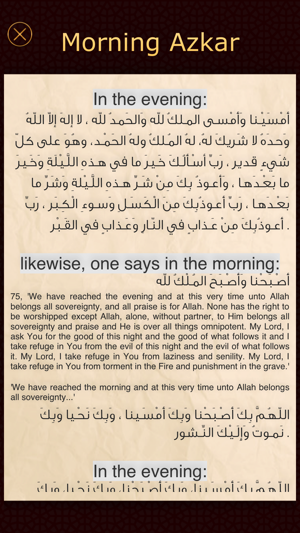 As Salaamu Alaikum. Hello. This app is inundated with ad after ad. They take over the whole screen. Sometimes even redirecting you to a webpage as you are trying to get around the ads so you can actually use the app. On top of that, the qibla locator is not accurate. It is way off for my area anyways. I have all the settings set to get my position via satellite. Really, I do not feel it is good marketing to get ad after ad. It makes it hard to use the app and stops the ability to accurately assess the app. Maybe you should offer a 30 day free trial. Something to make it more attractive to purchase. For me the qibla is so far off it is a no go but maybe in other locations it will be better. Good luck. but it does not work on IPAD at all now. It does download though. Works Judy fine, only thing I use it for it adan anyway... biggest issue are the compulsive and relentless adds that pop up and sometimes doesn’t show the “x” button for exits, and its obnoxiously loud!